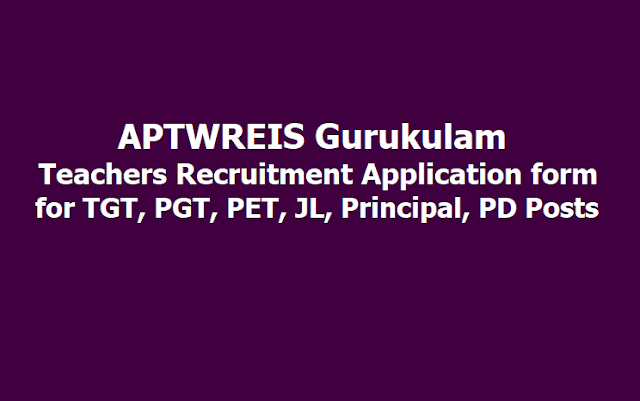 aptwgurukulam.ap.gov.in/ APTWREIS Gurukulam Teacher Posts 2019 Recruitment Notification, APTwreis Gurukulam Teachers Recruitment Application form for TGT, PGT, PET, JL, Principal, PD Posts: Gurukulam, APTW Residential Educational Institutions Society has given APTwreis Gurukulam Teachers Recruitment Application form for TGT, PGT, PET, JL, Principal, PD Posts Recruitment notification 2019 and APTWREIS GURUKULAM invites applications from the experienced, eligible and interested Candidates for filling up the above said posts on outsourcing basis in the following Institutions of Excellence functioning in Gurukulam. 1. PGTs having good Academic record in Degree and P.G. with (5) years experience in Teaching IIT Foundation classes along with 8th to 10th syllabus to teach for ST students on outsourcing basis in the following Institutions of Excellence functioning in Gurukulam. 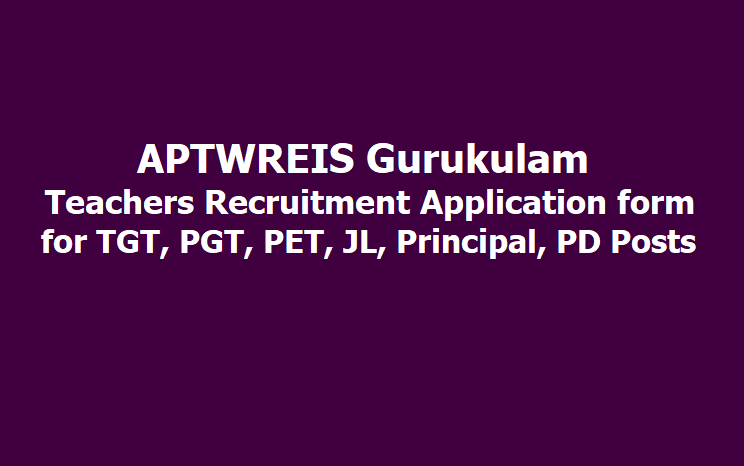 Mode of Selection: Watch below website from 2nd July to 5th July for mode of selection.www.aptwgurukulam.gov.in. Candidates have to bring the Print out of the application with the attestation on the photograph for attending the test/demo.